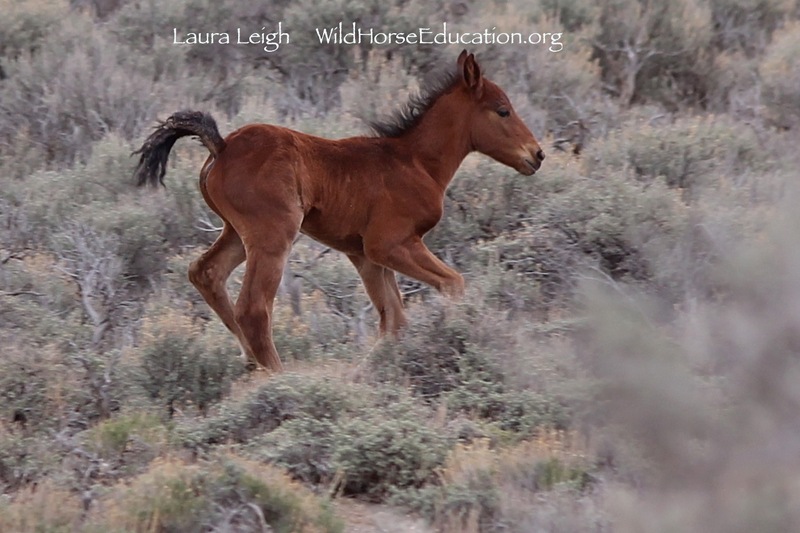 Happy Birthday Wild Horse Education (WHE)! As we count down to our fifth year of operations, we look back at some of the accomplishments of WHE. 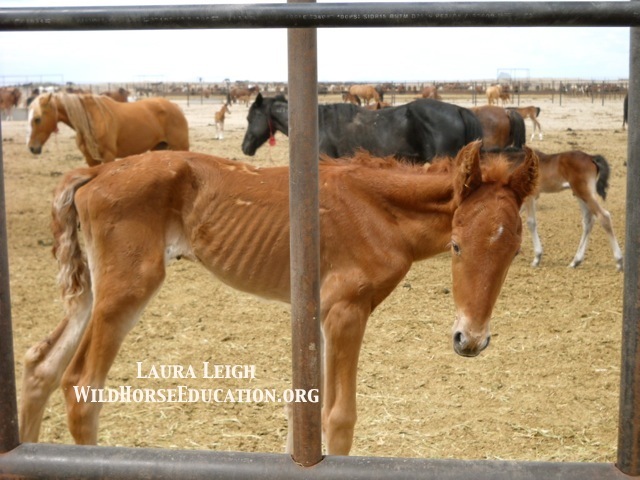 Images reaching the public like this one (foal born at Broken Arrow found starved as BLM allowed other foals into foster care) caused a huge public relations issue for BLM. Instead of fixing issues at the facility, they closed the doors to the public. Daily access is now a reality at wild horse and burro removal operations (with specific definitions of “access” being worked on in the state of NV without the necessity of further litigation). Many newcomers to the “wild horse” world are unaware that observing a roundup was once an “iffy” proposition. In recent years, roundups would last more than a month and remove over a thousand horses at a time. Those roundups often allowed only a “once a week” or even less, opportunity for the public to observe. What was called a “cat and mouse” game went on for more than 4 years (access to observe was often discriminatory to a select few that seemed to hold favor with the government or contractor). Yet even with restrictions to observations, multiple instances of inappropriate conduct were captured on camera and used in the fight for a humane policy. More than 200,000 miles of chasing roundup operations, and with frequent filings in federal court that resulted in multiple wins, daily observation is now a reality with transparency an issue that is being addressed outside the court system. In addition we are awaiting the final inclusion of the first humane handling policy in the history of the Act to be included in contracts. To gain the right to public access, Laura Leigh (our founder) had to begin a 4 year battle in federal court which led to WHE’s victorious Ninth Circuit court case. This case has been used in press freedom and civil rights cases across this country to further the rights of journalists. Leigh would show up every day even if it was not a scheduled observation day. She followed all rules and never obstructed or interfered with operations—she simply requested an opportunity to view. Even when held behind mountainsides and continually obstructed, no rules were broken. Professional conduct at all times disallowed any argument aimed at removing Leigh from witnessing operations. The Broken Arrow facility in Fallon NV has once again resumed public tours after images of unacceptable conditions caused the doors to close to public view. The key to creating honest change is an honest dialogue. But neither change nor honest dialogue is possible without complete and transparent information. Changing the way in which our government handles wild horses and burros during capture and in holding relies on an honest look at success and failure. Wild Horse Education remains devoted to gaining access and engaging issues surrounding wild horse and burro management, from range through holding. A video featuring our founder Leigh below demonstrate some of the changes in access since her work began. Skip to timecode 1:36 to see “access” at a roundup in Nevada 4 years ago. (Of note: this was an area that had PZP use but no follow up on re-treatment since this operation). Help us stay on track into our fifth year! Happy Birthday WHE! Donate Here to keep WHE working! Donate to Keep WHE working!